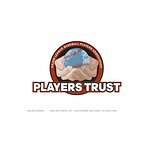 Through the Players Trust, Major Leaguers contribute their time, money and celebrity to call attention to important causes affecting the needy and to help encourage others to get involved in their own communities. Each year the Players Trust distributes more than $1.5 million in annual grants and programs, and inspires hundreds of thousands of high school students to volunteer in their communities through the Action Team national youth volunteer program. Google trends for "Major League Baseball Players Trust"
We don't have any videos related to Major League Baseball Players Trust.